About our area. The Waccamaw Neck is known for its laid back lifestyle. This historic area was once the rice capital of the world. There are still original plantation homes and moss covered oak trees that line roads. This rich history dates back the 1700's. 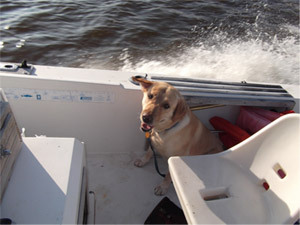 The Grand Strand offers many activites. Golf is a large part of the area. There are 100 golf courses along the Grand Strand, many designed by legends of the game like Pete Dye, Jack Nicklaus, Greg Norman and Tom Fazio. Another attraction for the area is Brookgreen Gardens. Brookgreen Gardens is a series of beautiful gardens with wonderful statues. There are over 300 acres of gardens that are open to the public. Brookgreen also puts on many events throughout the year such as cultural events, lectures, film and performing arts programs. During the winter be sure to check out Nights of 1,000 Candles which is when the gardens are decorated with beautiful candles and lights. Also, don't forget to check out the zoo. The Grand Strand offers some of the best dining. If you are into seafood you could not be in a better place. 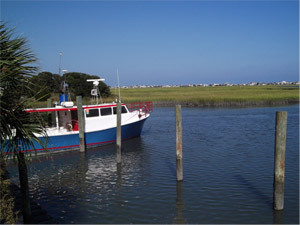 Murrells Inlet is known as the seafood capital of South Carolina. Most restaurants serve freshly caught fish, shrimp and other seafood from the local waters. Be sure to try some locally harvested oysters while they are in season. Most restaurants have a casual setting and do take reservations. After dining in Murrells Inlet, be sure to take a walk down the marsh walk. You might even see Bubba Love, a Murrells Inlet fixture and cook, feeding the animals on Goat Island. 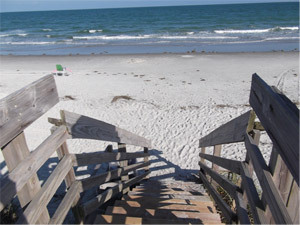 For the sun seeker, the Grand Strand offers some of the most beautiful sandy beaches in the United States. The Grand Strand's wide sandy beaches offer the beach goer with plenty of room to take in the sun and build the best sand castle possible. The Grand Strand is also a sportsman's dream. There is great fishing both on and offshore. For the inexperienced angler, there are numerous guide services from Little River to Georgetown that can put you on the fish. 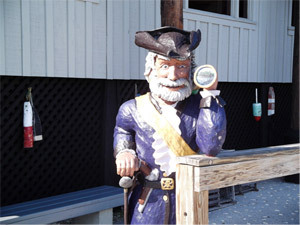 There are also numerous fishing piers that you can try your luck on. Some even have live music and entertainment to keep everyone entertained while fishing.